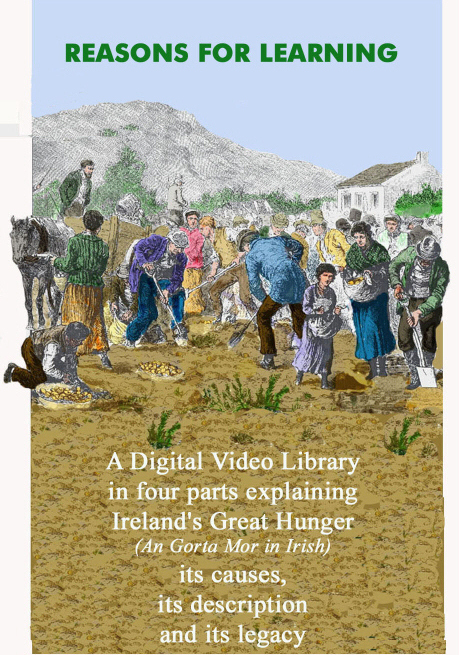 A One-Hour DVD in four parts explaining AN GORTA MOR, its causes, its description and its legacy. The four short video clips provide the reasons why we should learn of this tragedy, its causes, its description and its legacy. 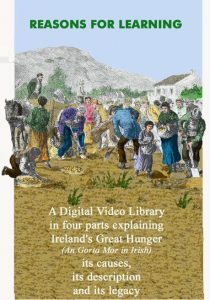 Why was it called a famine when there was plenty of food grown and exported? Why was a charitable world discouraged from relieving the distress? Why was emigration the only solution for so many? The answers, and much more, are here to examine. The videos are supplemented by eight document-based questions to assess the comprehension of the viewers and six enjoyable exercises to familiarize the viewer with the terminology of the tragedy. It is our hope that after reviewing this data, you will share it with your peers and charges so that we may all be more sensitive to the needs of those less fortunate among us for, after all, we are all God’s children.Click on the desired title to retrieve the item.